I’ve always known the APM Conference is quite a draw. This year it attracted hundreds of delegates and a range of exhibitors, including Dimitar Janevski, who flew over from Macedonia to be on the Seavus stand with his colleagues. 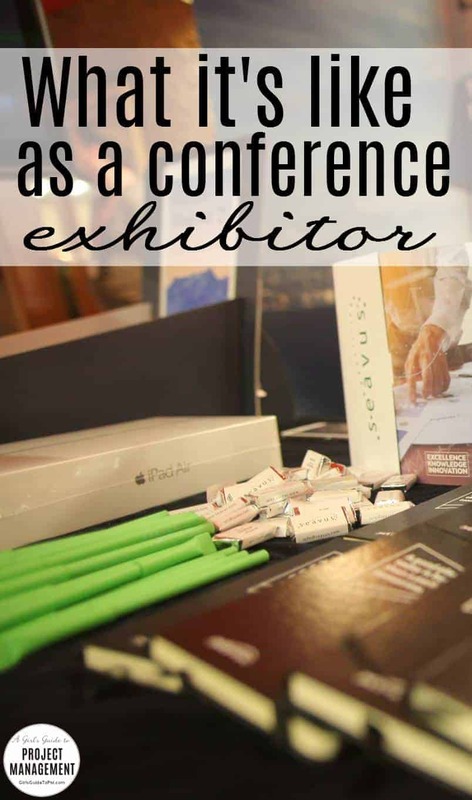 I caught up with him to find out what it was like being an exhibitor at a project management conference. Dimitar, why did you choose to go to the APM event this year? 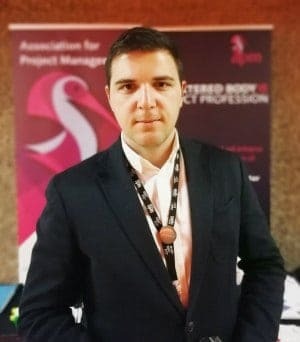 The APM Conference is a truly great event for Project Professionals especially with the fact that is held every year and offers participants with the opportunity to share experiences and exchange knowledge. We were very delighted to be a part of this year’s conference which had the topic of ‘Making the Mould’, which challenges the way we run projects. Our Project Viewing solutions are meant to support and improve the work of Project Professionals, so it felt like it aligned. What’s it like being an exhibitor? Don’t you get bored of being asked the same questions all day? It was like we found a “Vault of Project Managers”, all interested in our products, thus motivating us to talk and engage with them even more! Most of the delegates were approaching us with direct questions around how their companies can benefit from our cost-effective Project Viewers, so it was more like exchanging use cases. It was quite remarkable! It sounds like you were busy on your stand. What else did you do? We were giving away an iPad Air 2! Actually, our idea of having a valuable prize besides giving promotional materials had a positive effect. Delegates needed to answer three simple questions regarding our products Seavus Project Viewer and PrimaveraReader and to drop the card in a ‘pool’ from which we drew the winner. The lucky winner of the iPad was Mr. Subash Tavares, Head of Portfolio Management at Transport for London. Our smartest decision was to print all the materials in the UK, so we didn’t have to carry heavy packages. Wow, I bet he was glad he stopped by your stand. Did you get a chance to see any of the presentations? Unfortunately I only had the chance to hear 10 minutes of just one presentation, which was about the futuristic views on how new technologies like Blockchain can drive changes – this is a hot topic at the moment! Attending a conference like this must be a mini-project. How did you plan to get ready for it? It is a mini-project indeed, with many different tasks which we split among our team of three and lucky for me, they all knew what needed to be done, so I didn’t get overwhelmed. Logistics-wise, our smartest decision was to print all the materials in the UK, so we didn’t have to carry the heavy packages. That’s forward thinking! Have you been to the UK before? I have been to London couple of times before as I have a sister living here but I can say that the weather was nice and we caught the London marathon which made for a nice atmosphere around the town. Being an exhibitor at UK project management conferences is quite fun and has a positive effect on the sales of our products so I am looking forward for our next exhibition. It’s at the PMO conference on 7th of June. About Dimitar Janevski: Dimitar is a Digital Marketing Manager, responsible for marketing of B2B products, represented by Seavus. Besides being a marketer he has past experience in Telecom industry where developing new products, managing diverse teams and holding few roles as a Project Manager.